BY TAYLOR HA ON MARCH 3, 2019 for Fordham News. Amazon sells more than 30,000 career guides. Yet many of them are one-size-fits-all. It would be tough for an LGBT high schooler, for example, or an ex-offender, to find a guide they could relate to. And chances are even slimmer that they would find one book that would speak to both of them. But now, thanks to a Fordham professor and her students, they might. 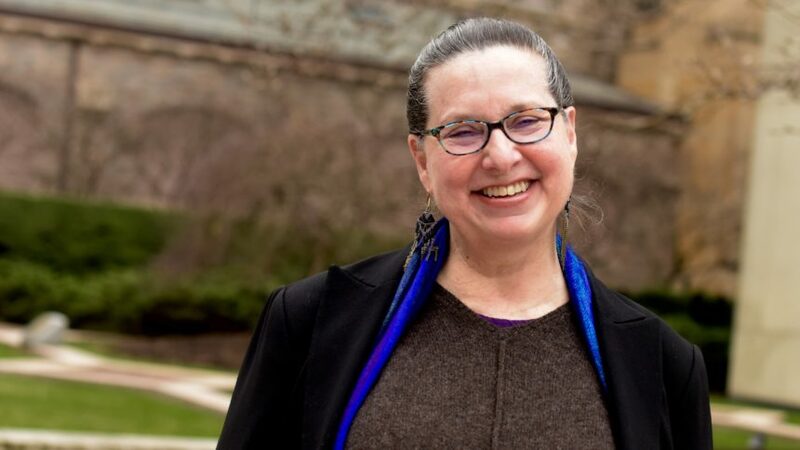 Margo A. Jackson, Ph.D., a professor of counseling psychology in the Graduate School of Education, along with GSE students or alumni, recently wrote “Career Development Interventions for Social Justice: Addressing Needs Across the Lifespan in Educational, Community, and Employment Contexts,” a vocational guidance book with chapters tailored to underserved groups and individuals. The book, published by Rowman & Littlefield last January, also speaks to Latinx refugee youth, adults who work in remote rural areas, ex-offenders, laid-off workers, teenage girls in juvenile detention centers, and internationally educated immigrants who are underemployed in New York City. 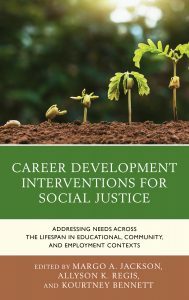 Jackson and her co-authors aimed to capture what career development looks like for each of these communities. The book not only confronts common barriers faced by these groups but also provides customized interventions to help people better understand who they could become—or who they want to become—and how they can contribute to society in a positive way. These strategies, supported by science and psychological theory, can be used by both readers and those in the helping fields: counselors, psychologists, social workers, community center leaders, and educators. 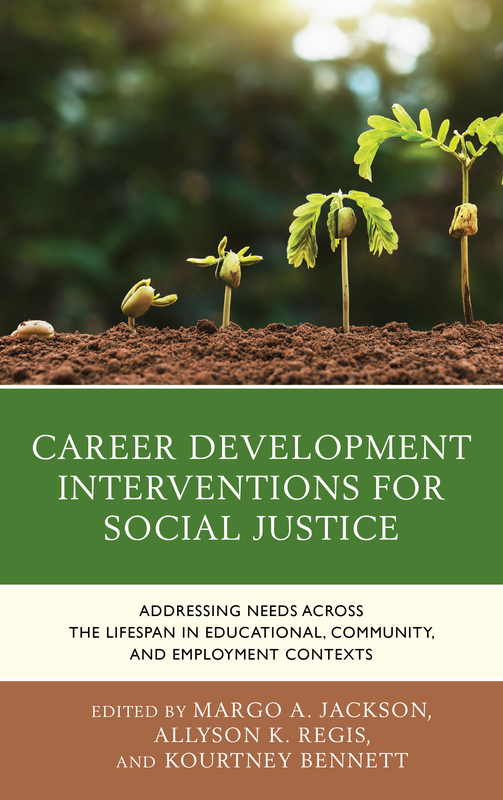 And, by integrating competencies for social justice advocacy, career development services can be used to expand access to educational and occupational resources, Jackson said. The career guide devotes each chapter to a particular group of individuals—starting with the youngest. The first chapter, titled “Antibias Career Development for Evolving Identities in Elementary School Children,” describes a program that could improve antibias education for young students in the classroom. In this intervention/program, students are exposed to jobs they may have never dreamed of. The theoretical program includes a “career day” that features guests who challenge the status quo. Another chapter focuses on ex-offenders. When released from prison, many people face an onslaught of obstacles: their criminal record, limited formal education, little-to-no work experience, housing issues, and physical and mental health. The chapter’s authors, Allyson K. Regis and Gary L. Dillon Jr.—both doctors of counseling psychology—proposed a program to help them return to the workforce. It includes a resume workshop, mock job interviews to help them answer questions about their ex-offender status, assigning a post-release peer mentor, and discussions to help them recognize “old behavior patterns, triggers, and toxic attitudes” that might throw them back in prison. The last chapter speaks to baby boomers—those who have reached the end of their careers, but not the end of their productivity. Contributor Ashley E. Selkirk, Ph.D., sketches out a career workshop for baby boomers who live in retirement communities. The one-day program is designed to help them understand how ageism impacts the identities of older people, help them gain access to psychosocial resources, and create meaningful goals. But what makes the book particularly unique are its intimate testimonials from its authors. In personal reflections, each of the 15 authors probes his or her own biases to better understand themselves and those they serve. The authors of the book come from diverse backgrounds: Jackson is a middle-aged white woman who raised two biracial daughters with her husband; Jill Huang, Ph.D, is a queer, cisgender licensed psychologist; and Gary L. Dillon Jr., Ph.D, is an African-American psychologist who counseled male black inmates at Rikers Island. Another author is Kourtney Bennett, Ph.D., GSE ’16, a staff psychologist at Loyola University Maryland’s counseling center, who also served as a co-editor. Bennett, a black woman raised in a household where education and professional development were prioritized, said she realized her background was both a barrier and a bridge to supporting youth. Reflecting on her biases was challenging, yet rewarding, she said in a phone interview. But the actual book itself, she said, is perhaps the most eye-opening of all.